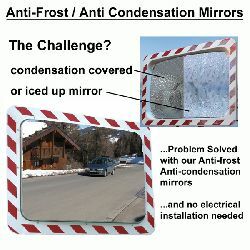 Condensation and ice can obscure the reflection from your outdoor mirrors making them less than ideal in adverse weather conditions! 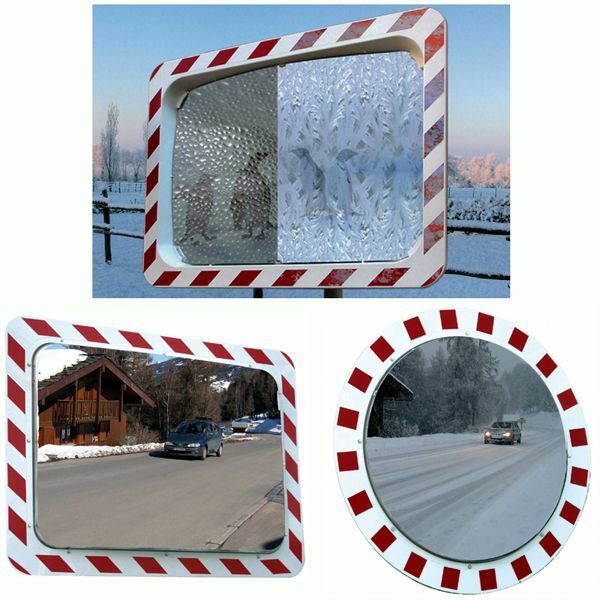 With these breakthroughs new fog-free anti-frost and anti condensation mirrors, you can enjoy crystal clear images whatever the weather or temperature ...and they come with a massive 6-year manufacturers guarantee. Utilising stored latent heat technology (no electrical installation or batteries required), these state of the art mirrors deliver clear reflections in temperatures down to minus 20 degrees C and whatever the air humidity!